The eyes of the world turned briefly to Singapore early this week, with the historic summit between the United States and North Korea. Now those who became interested in the city-state can go for a Singaporean gourmet experience in the heart of Seoul. Millennium Seoul Hilton is hosting the Singapore Food Festival, offering authentic Singaporean cuisine to diners in Seoul. 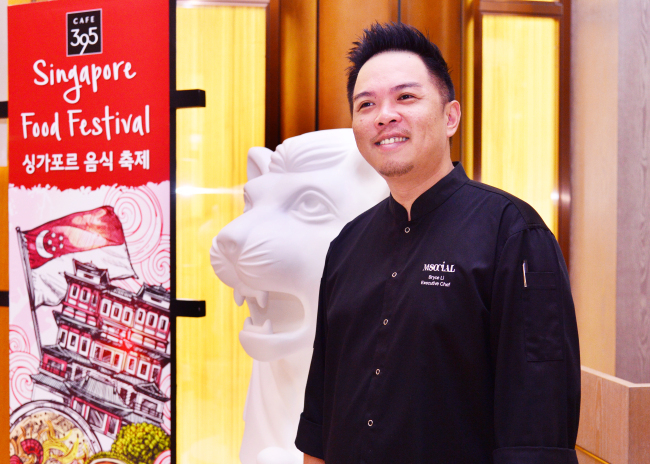 It has invited chef Bryce Li from the Beast & Butterflies restaurant at M Social Hotel Singapore, a lifestyle design hotel run by Millennium Hotels and Resorts. “Singapore cuisine is diverse. In Singapore, we have Chinese, Malaysians, Indians and Peranakans. Each has its own characteristic, but after so many years of living together, we mixed them up, creating something else,” Li said. 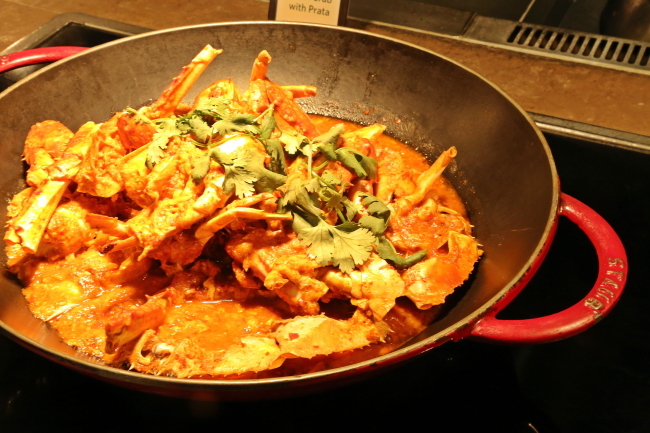 Perhaps the most famed, signature dish of Singapore, chilly crab is on the menu. 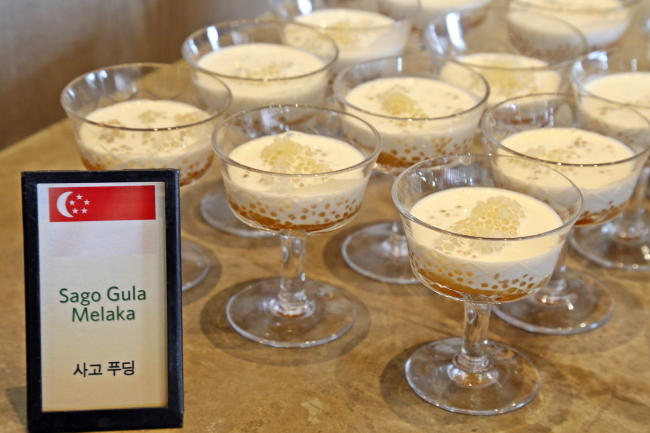 But the chef introduces many more dishes, even desserts such as ice kasang and sago gula melaka. At his hip Asian fusion restaurant back home, Li practices “mod-Sing,” or modern Singaporean, cuisine. “We are based on the traditional way of cooking, the taste is still the same but the ingredients and how we use them are different,” he explained. Li also revealed he is influenced greatly by social media. Singapore Food Festival runs until Tuesday at a price of 94,000 won per person for lunch and 99,000 won for dinner. For reservations, call Cafe 395 at (02) 317-3062.